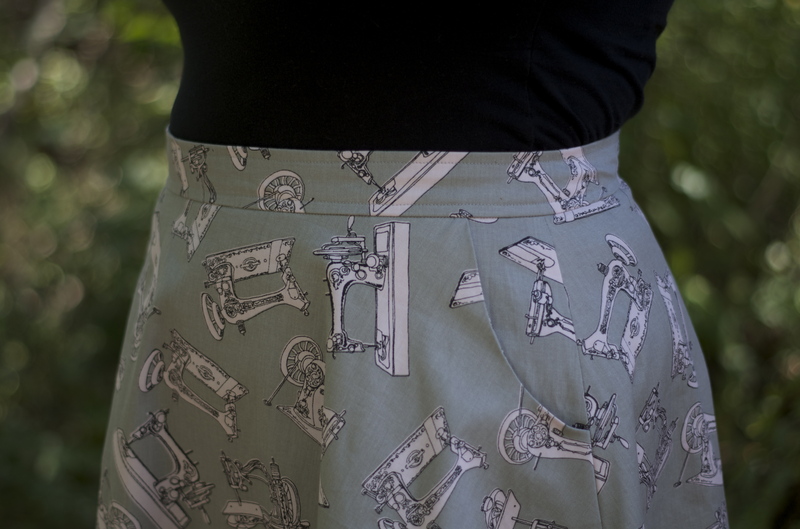 I made this skirt in June and I’m finally getting around to blogging it! 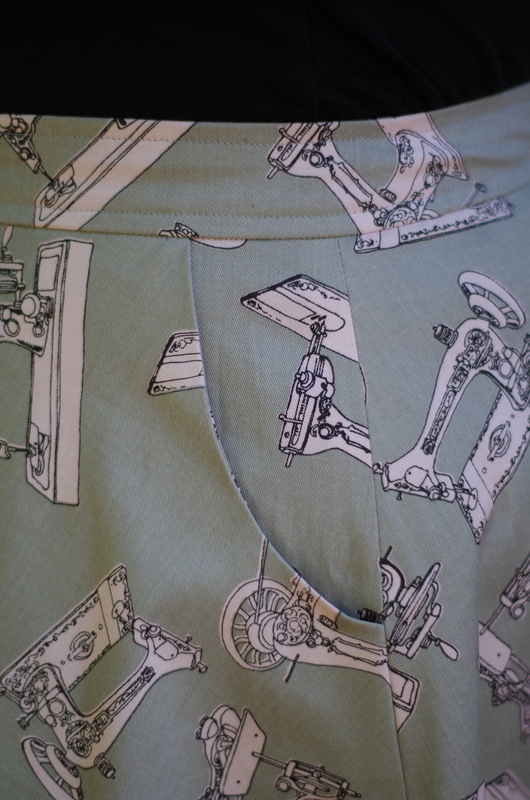 With the exception of my never-ending zipper issues, this skirt was simple to make. I bought some other fabric from fabric.com a while back and had a great discount so the two yards used for this skirt were FREE! WOOOOOO! 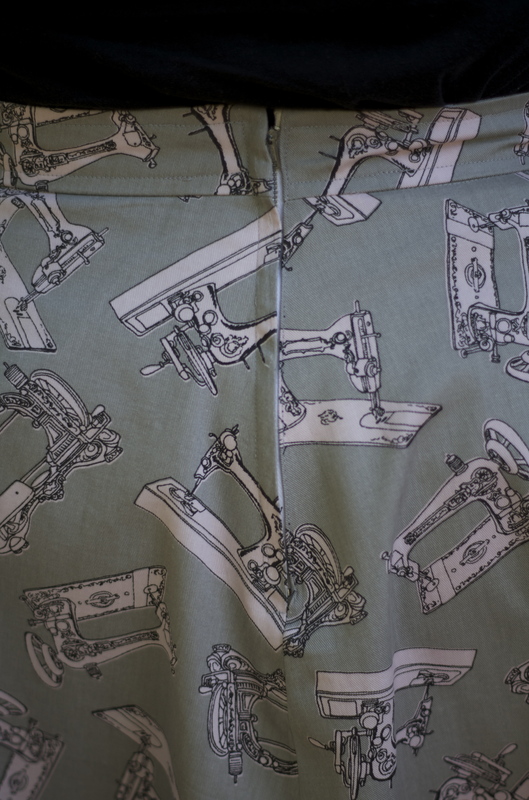 Isn’t vintage sewing machine fabric so fun? I’m very happy with the waistband and pockets! Unlike the last Hollyburn I made, this one fits! I have yet to resize the previous one…one day. You can’t see it, but due to the fact I had to redo the zipper at least 6 times (I wish I was kidding), some of the visible fabric got picked and ripped a bit. It’s not THAT bad but it bothers me. As much as I love the look and feel of it, I think it’s time to give the Hollyburn a rest for now. Also, Today is the birthday of one of my bestest (I know that’s not a word) friend’s ever, Cheryl. HAPPY BIRTHDAY CHERYL!!! LOVE YOU! Okay, this fabric is amazing! So is this skirt! Wonderful as always. You’re so talented! Thanks for my birthday shout. Now make my shirt. Love, Cher. I also love the photo of you. Very pretty!